I was excited to find out last month that I was selected to be a part of the HP Millennials Influencer Panel through BSM Media. 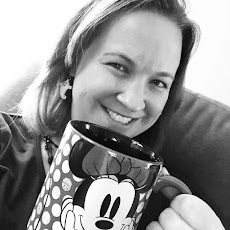 Over the next year, I'll be hearing about some of the latest and greatest products from HP and will have the opportunity to share this with you here on my blog and throughly social media channels. As part of the panel, I received several items to get started courtesy of HP. Check out these amazing items! HP DeskJet 3755 - The world's smallest all-in-one printer! 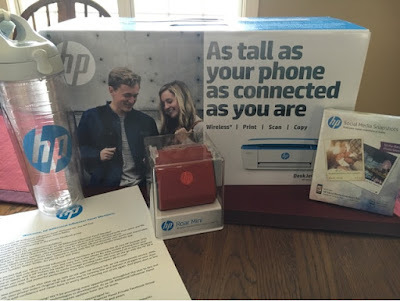 As part of my welcome package, I also received information on HP Instant Ink. Instant ink monitors how much ink you have left and will order and ship the ink for you. This subscription sounds like a great deal. And right now, HP is offering a promotion where you can get 3 months free of the instant ink subscription with the code SCHOOL3. I'm excited to share lots of exciting news from HP this year with you! What HP products have you already tried and loved?? As an HP Millennial Influencer Panel member, I receive products, promotional items, and educational material to use and share as I see fit. However, any opinions expressed by me are honest and reflect my actual experience.